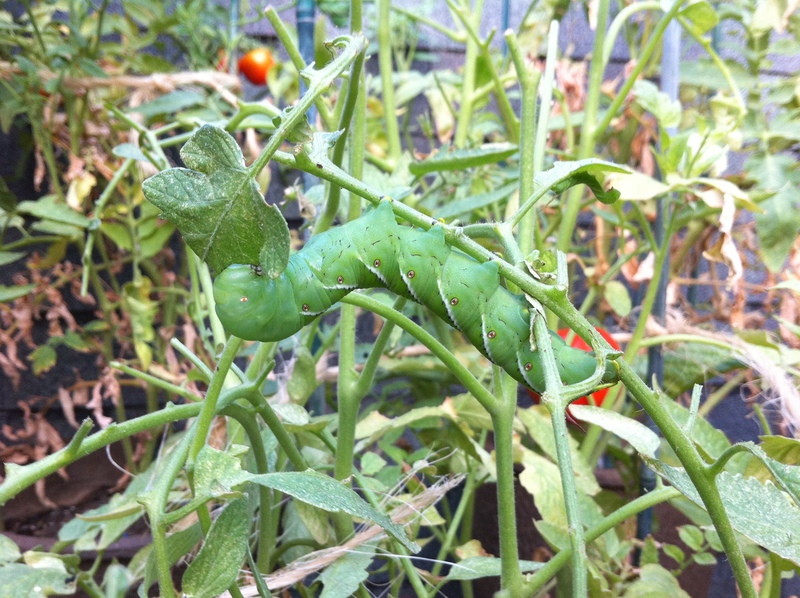 These 4″ long creepy guys appeared overnight and devoured half our tomato plants! This is on the third floor deck in a city, bugs! Get lost!